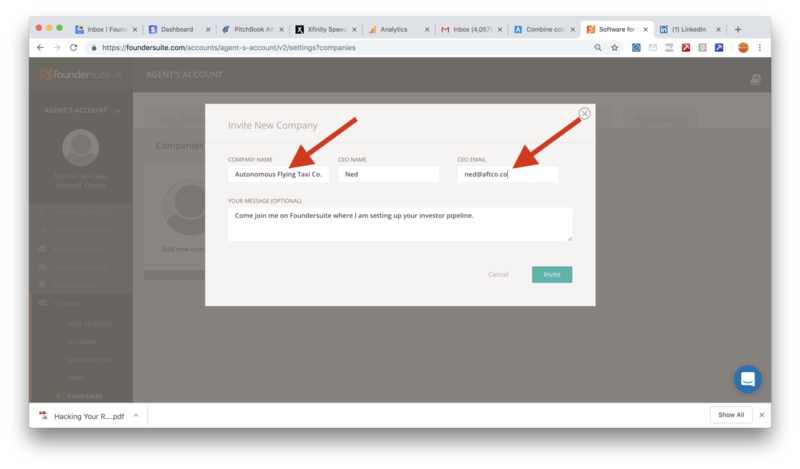 In recent months, we’ve seen an increasing number of i-bankers, CFO consultants, attorneys, brokers, and other financial intermediaries using Foundersuite to help their clients raise capital. 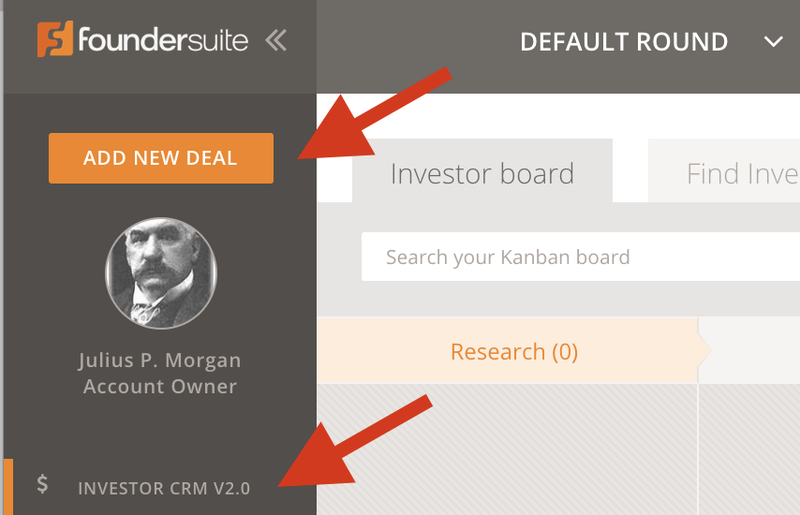 So, we did the next logical thing: we built a product specifically for this demo. 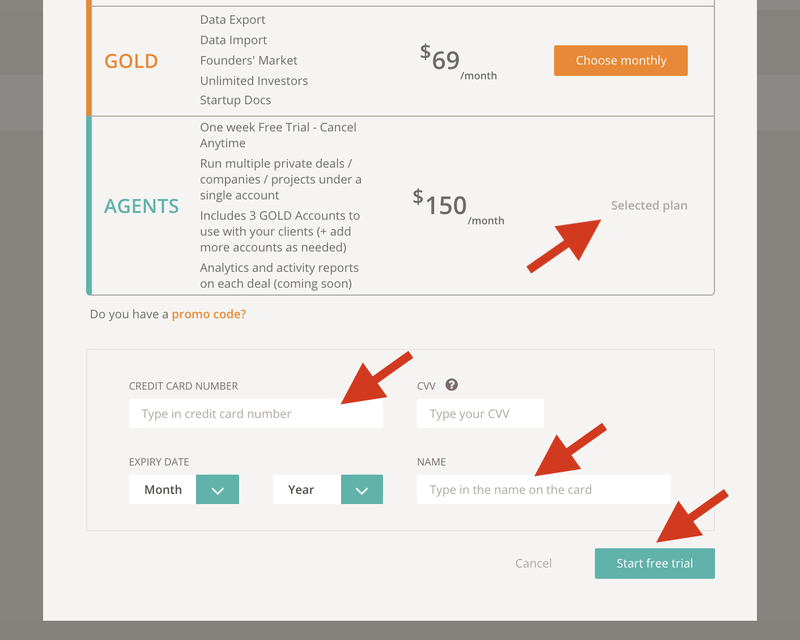 I’m pleased to introduce our new “Agent Model” which will enable you to set up a single account and then run multiple private deals / companies / projects under that account. Next, start your one week free trial by scrolling down and entering your credentials. You won’t get charged until the trial is over, and you can cancel any time before the trial is up without any fees or charges. Watch the video (5 mins.) <or> read steps 1–5 below. First, go to Settings and add a Photo, Name, etc. (optional). 3. Next, you’ll be prompted to pick what type of Deal you want. 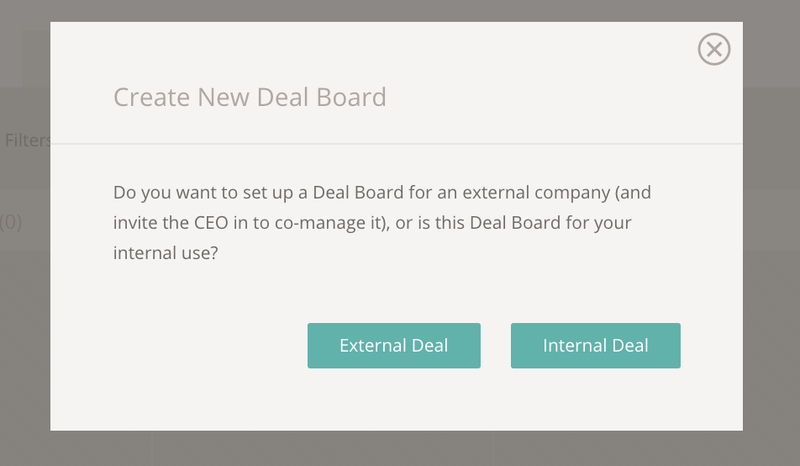 Choose “Internal Deal” if this will be private to you and your team (associates, analysts, etc.). Give it a name and you’ll be dropped onto the Deal Board. 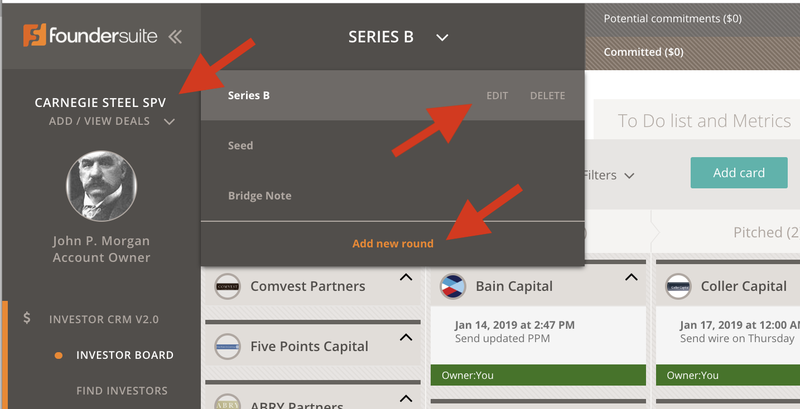 For example, this image is showing where to click to edit the “Series B Round” of the “Carnegie Steel SPV.” It also shows where to add a new Round. The above describes the key elements that constitute the new “Agent Model” type of account. CEO of www.Foundersuite.com. Fanatical about helping startups raise capital. Sailing and motorcycle junkie. 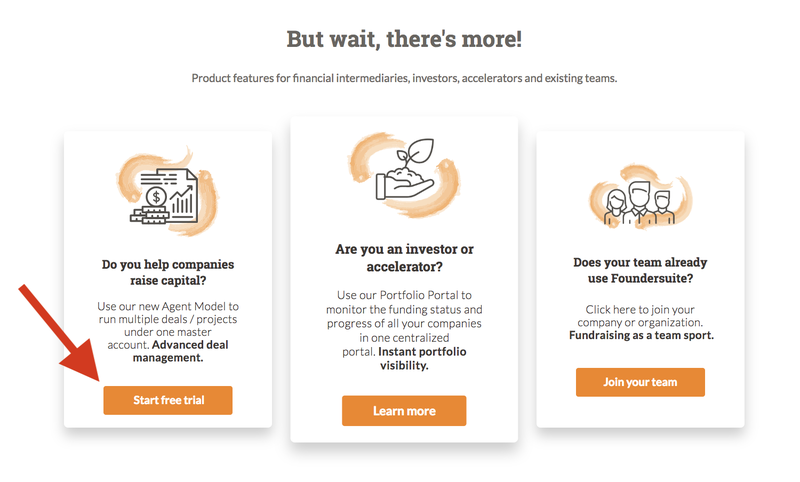 Master your fundraise. 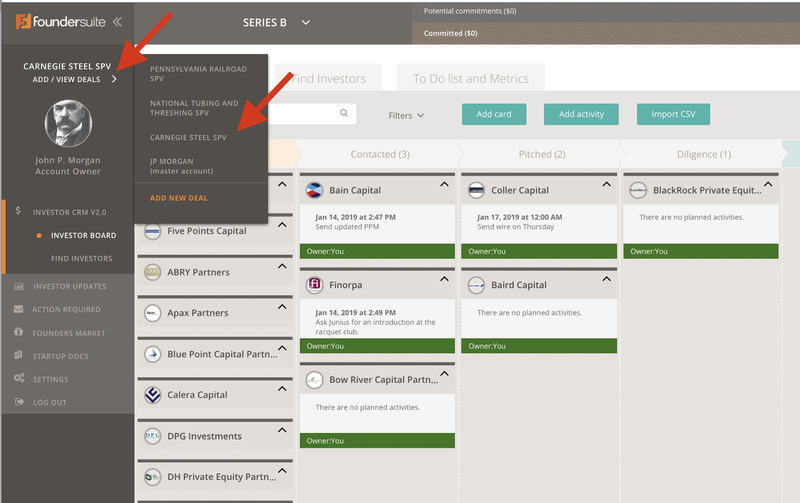 Raise capital like a pro.